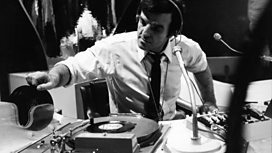 The good people of the BBC have posted a clip on their website of Friday’s Pop Charts Britannia documentary which marks the sixtieth anniversary of the Charts. In the clip, you can see me make an idiot of myself trying to tape the charts from 1983 on an unfeasibly large boom-box. There’s a bit more detail about the show here. Loved the clip and I’m really looking forward to watching the doc tonight. Seeing you struggle to catch the songs brings back lots of painful memories… and the DJs would always chime in before the songs finished which was so annoying! I’m also not sure if I had a cassette now i would know what to do with it.